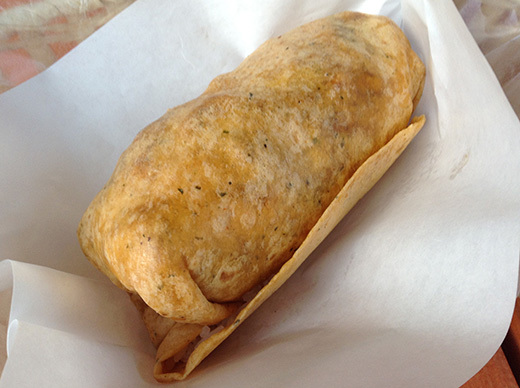 Burritos are getting popular nowadays in Tokyo, but almost Japanese is more familiar with Tacos, and there’s not so many Mexican restaurants here. 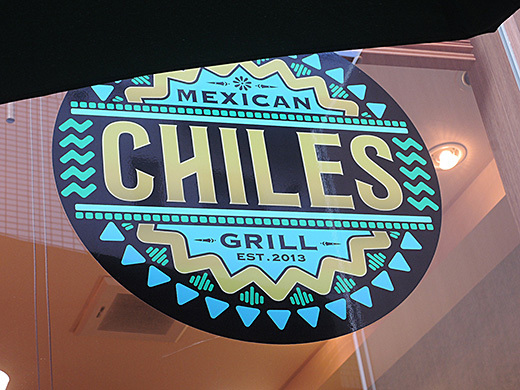 Mexican Grill CHILES is on a narrow byway from the crowded Harajuku Takeshita street. I walked around Jindai-temple. 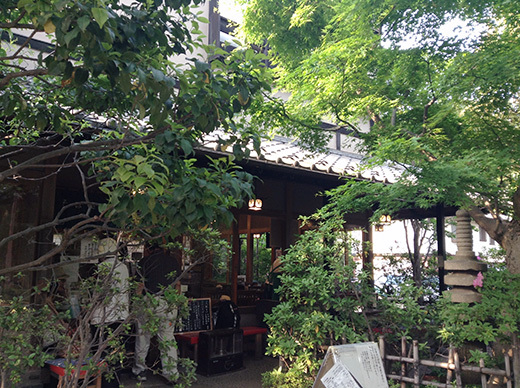 Around the temple is famous for soba restaurants. 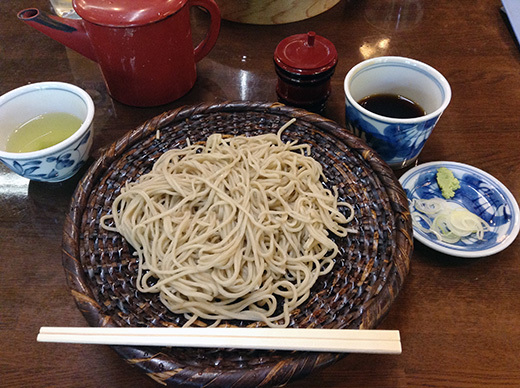 There’s over 20 small soba speciality restaurants, tourists are looking forward to come there to enjoy soba, at the same time to visit temple. Yusui (湧水) is one of them, the name of restaurant means like spring water, so that reminds us soba plate made from clear tasty water. Their soba plate was good, and someday I would like to try other restaurants around there too! 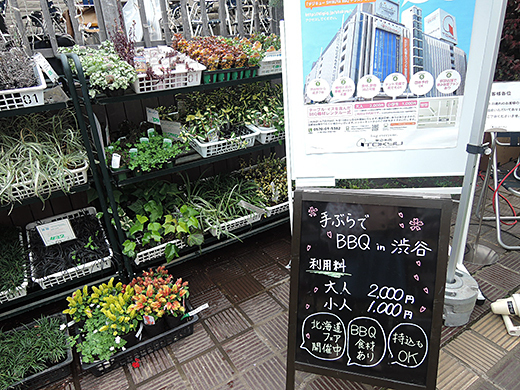 Now we can enjoy BBQ in the middle of Shibuya! 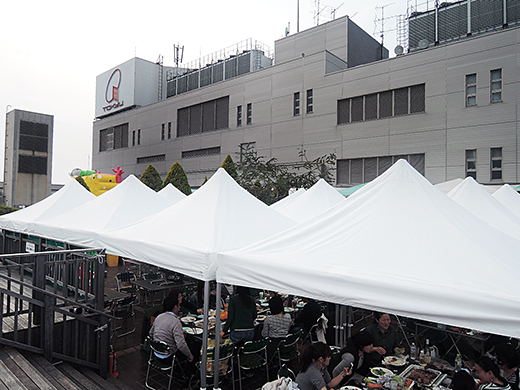 The top roof of Tokyu Department Flagship Store changes to BBQ place. 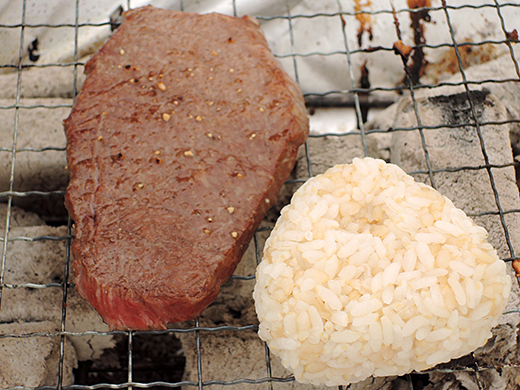 You can bring as-you-like food and drink, there’s already charcoal is burning. 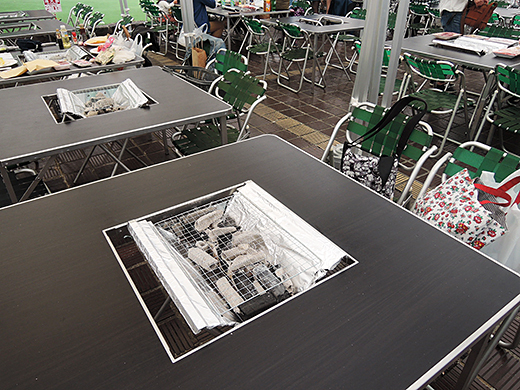 And you don’t need to bring paper cups, dish, chopsticks, knife, foils… all the things are ready at there. 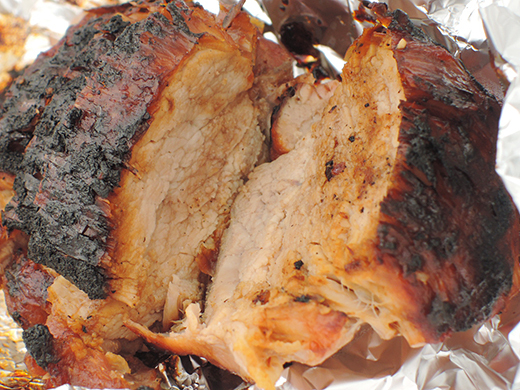 We don’t eat much meat ordinary, but it’s BBQ! 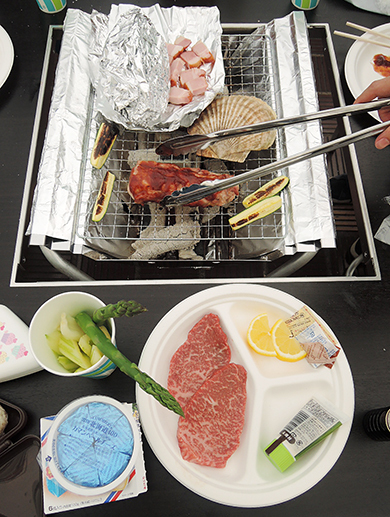 We brought Kobe beef, pork chunk, salmon, bacon, Camembert cheese and onigiri with some vegetables. Outdoor eating is always so fun! 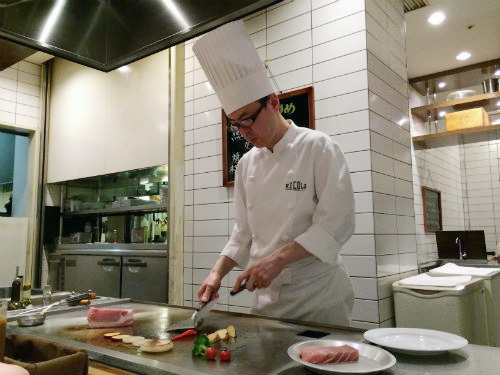 My friend and I had a dinner at seafood teppanyaki restaurant, “Ricolo” in Tokyo Daimaru department store. 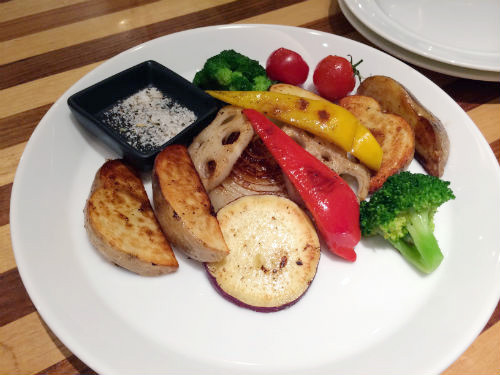 We sat in front of the teppan (grill plates), and we enjoyed watching our foods were cooked on the grill plates at the kitchen. 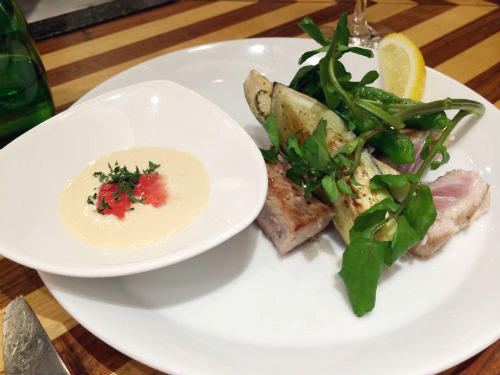 And, we had some grilled fresh vegetables, pork and tuna fish. 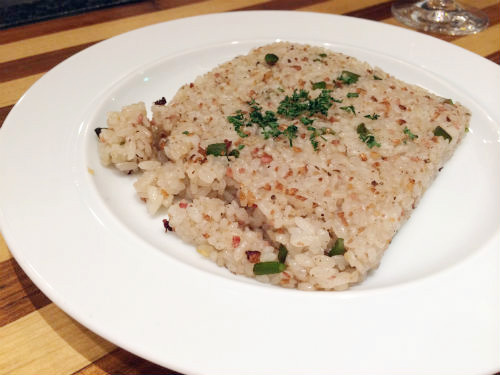 Everything was great; however, I love the garlic fried rice. 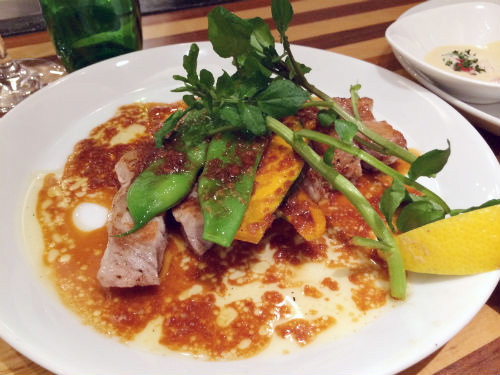 My friend and I had a dinner at Otaru Masazushi in Ginza. 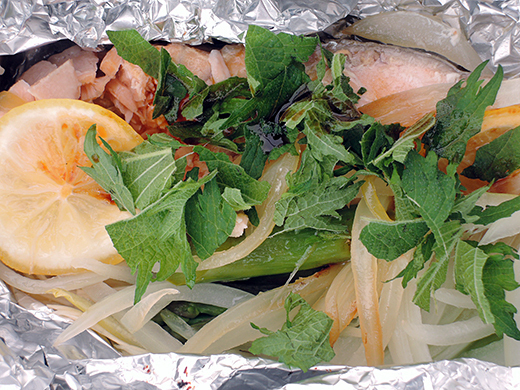 The Sushi restaurant provides us freshly-caught fishes at Otaru in Hokkaido. We had some Sashimi for appetizers, and then we had wonderful Sushi. 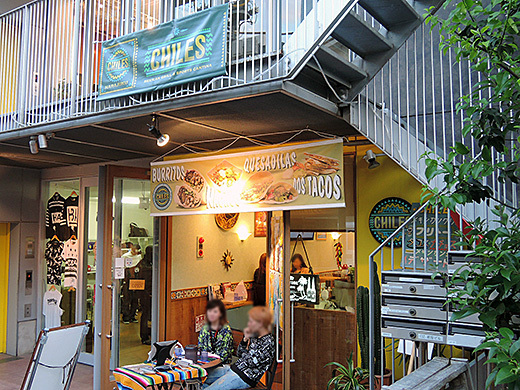 We had really good time with their kind hospitalities and the good foods.